Ruby gemstone is related to the planet Sun this gemstone attracts almost all individuals. Ruby stone is also called Manik Ratna in Hindi. Wearing this stone bless with the positive powers of The Sun. Moreover, it showers its wearer with immense favors. However, to earn all these benefits, it is suggested by the astrologers that stone should be worn following all the rules and rituals, otherwise wearing this Sun ruled gemstone does not bring sweet results. However, the irony of the situation is that many people in actually don’t know how to wear ruby gemstone and in lack of awareness adopt this stone is such a way that it does not bring any positive changes in their lives. The weight of the ruby stone should be in between 3 carats to 6 carats. Ideally, a stone whose weight varies in between these two figures is considered to be the best ruby stone. 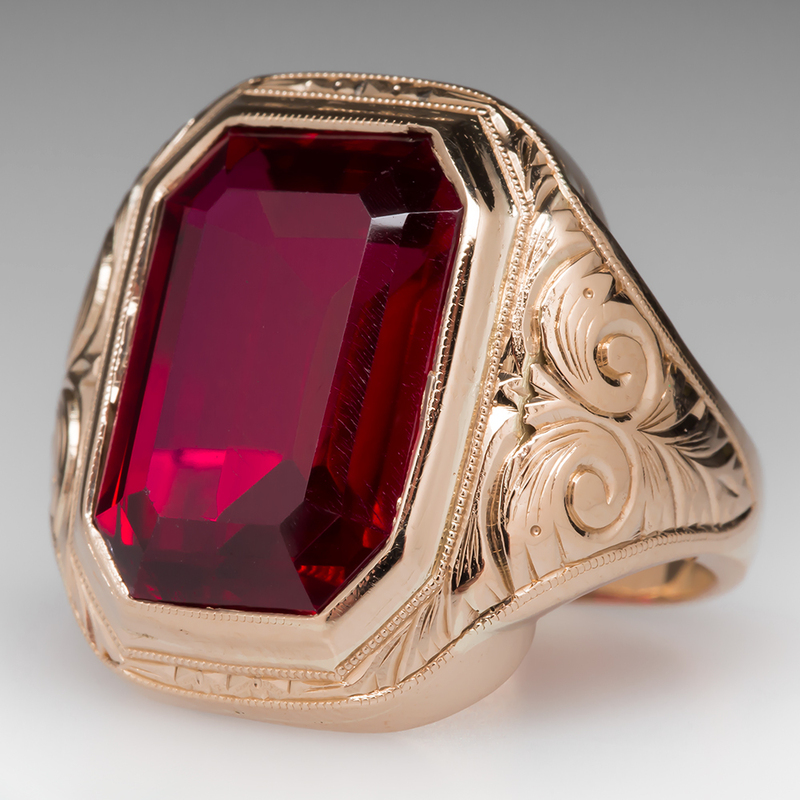 Ruby stone should ideally be embedded either in Gold or Silver to experience the best results. Purposed day wear this stone is Sunday at morning between 5 am to 6 am. If possible, it should be worn during the Shukla Paksha. Before wearing ruby stone should be kept into Gangajal or honey in order to exculpate all the negativity from the stone. After this recipe the following Mantra of Sun “ॐ सूर्याय नम” and wear stone in your ring finger. The ruby gemstone will start paying off good results to you after 30 days post wearing and it will continue to shower you with his blessing till four years. And then it will become inactive. It has also kept in mind that in order to cherish the benefits of wearing this stone, clean your stone at regular intervals. Ruby Gemstone being ruled by the Planet of the principal source of energy in the universe attracts wisdom, wealth, prosperity to its wearer. Wearing this stone ward-off against all the blood-related diseases. Eventually, a person who is suffering from blood diseases should wear this stone. A native who is born under the Zodiac sign Leo and born in the month of July should adopt this stone to enroll themselves to cherish all the benefits being offered by Sun led ruby stone. Wearing ruby stone enhances the concentration and memory power of its native. Moreover, it invokes spirituality and kindness in the heart of its native. This is a very much a heart-centered stone, and it personifies the Divine love of the Creator. It is a stone of manifestation, and will also support the retention of wealth, spirituality. The ruby gemstone is known to bring spark and aliveness in its wearer life. Being Ruled by the Sun it signifies wisdom, the power of communication, intellect, spirituality, divine, brain, education, love, prosperity, wealth. Before wearing a ruby stone do consult an astrologer. It is also said that ascendant of all zodiac sign can wear this stone, after evaluating the position of the Sun in their birth chart.